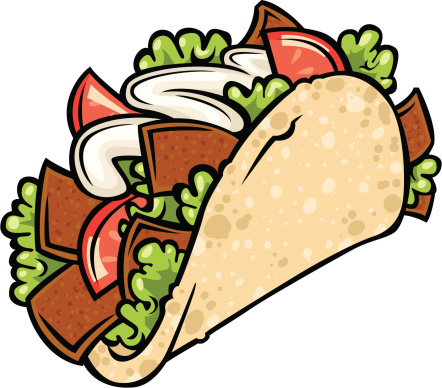 Each blog will feature a rating system showcasing a food item from that particular post. Items will range from 1-5 which I have cleverly named the "Biting System"
In all honesty just pretend you are hungry even if you are not because if you have not tried the food at Fireside Restaurant your insides are missing out. You are probably wondering why my photo is in a sepia style filter, the inspiration you ask? The restaurant decor. 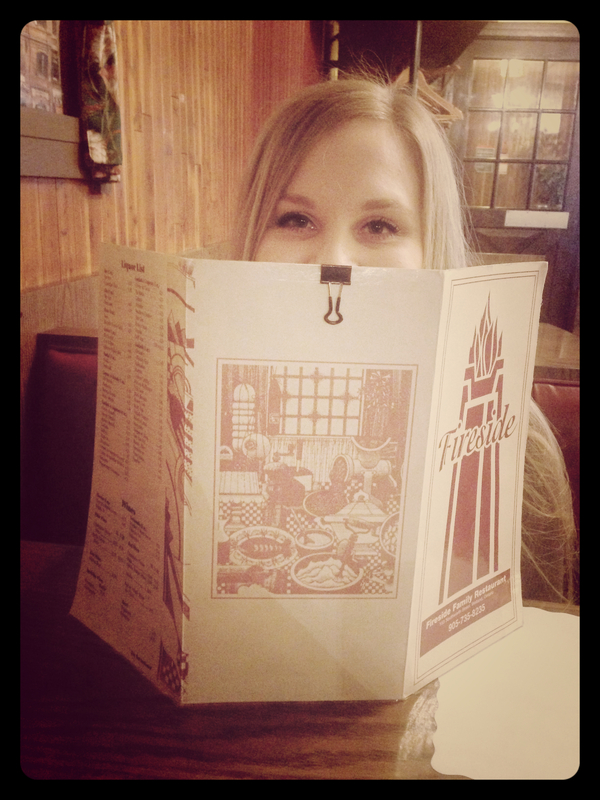 Fireside Restaurant opened 38 years ago and the wood panelled walls and custom red pleather booths look like they came straight from the 70’s. This may possibly be the most underrated Welland restaurant especially for an establishment with Mediterranean food on the menu. I had no other choice but to order the chicken souvlaki pita with rice and greek salad as it brings back memories of my late night food order in Waterloo at MacDonells (RIP). Now pick your jaw up off the ground, I know it looks phenomenal and it was. 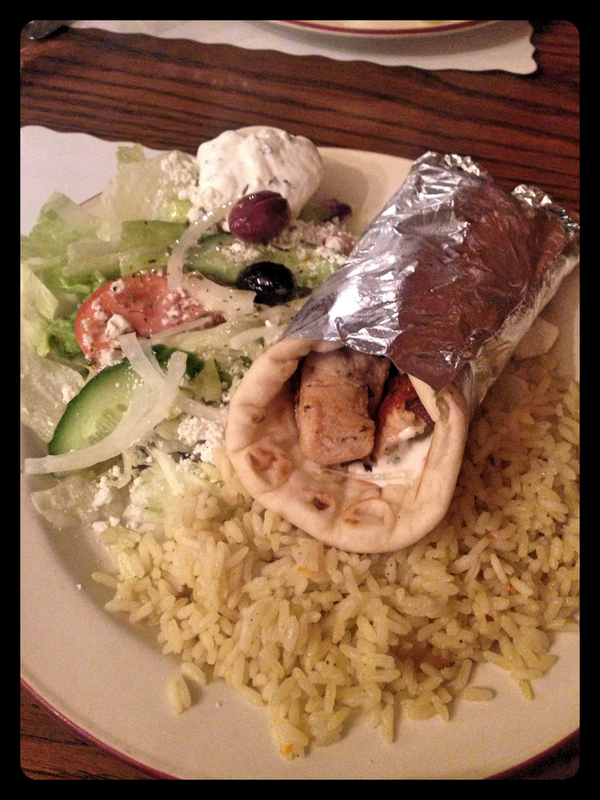 They even gave an extra side of tzatziki as if she knew I would slather that all over the rice. Not only was this glorious plate delivered within 5 minutes of ordering, it was consumed even faster. The pita was warm and soft with just enough chicken to fill you up. The greek salad is like no other greek salad you have ever had. It was not dripping with pounds of oregano and dressing but instead the perfect mix of fresh, crunchy salad and vegetables. What more can you ask for from a restaurant that only charged $10.79 for this meal. Our server was also helpful and pleasant to be around. She even answered questions I had regarding when the restaurant had first opened and laughed when Nicola and I told her we couldn’t even speak during the meal for fear it would disappear out of thin air and leave us wanting more. 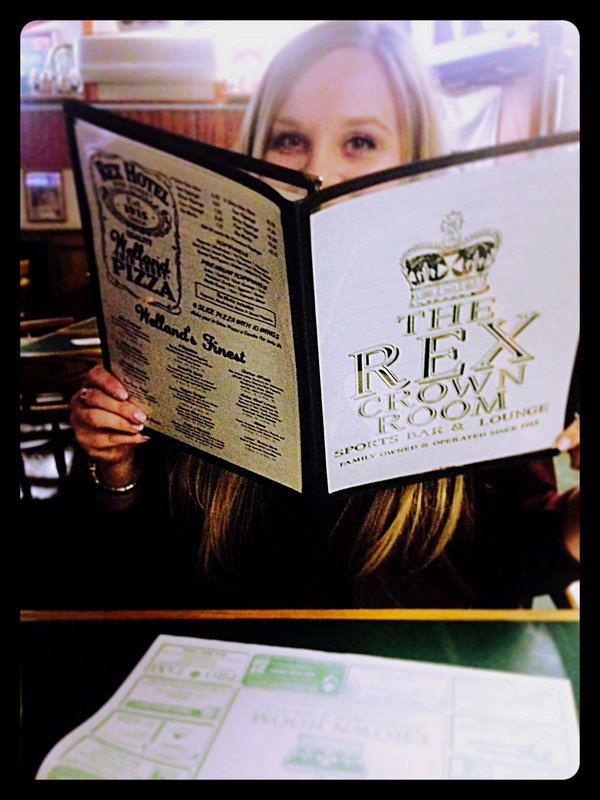 I must preface this post by stating this isn’t my first rendezvous at The Rex. While I was in my prime I played a little softball and we were sponsored by this restaurant, our team was The Rexicans. This restaurant is a must try Welland staple. When you walk into The Rex, aside from the obvious ability to off track gamble one must acknowledge how dated the decor is. The carpet is green, which is only appropriate if it matches the drapes. The walls are flooded with vintage beer signs, which my mom would have considered “new” back in her day when they were originally hung up. In their defence, it does give off a very homey vibe, which is comforting especially to its regulars from the last few decades. So let’s dive into the food! On a lovely Wednesday night out with my girl Nicola, we experienced some seriously good Welland hospitality. For one we arrived to have our first pitcher of OV paid for by one of Welland’s finest. That’s the best way to start off any night out. 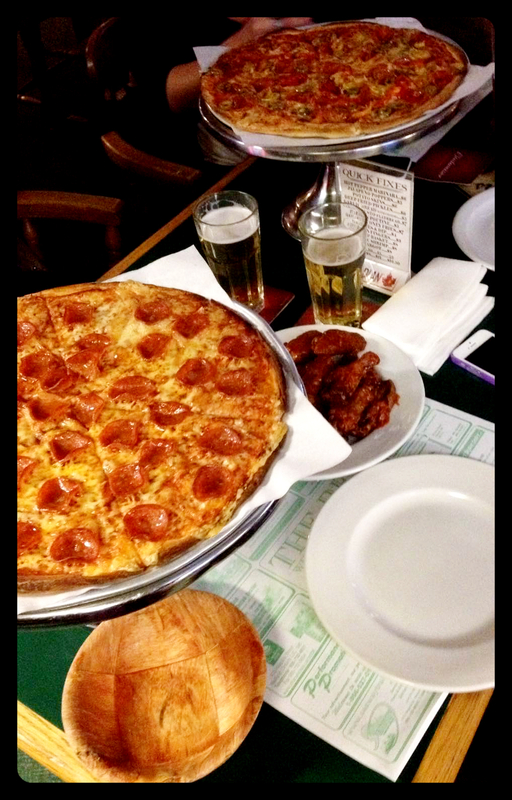 Speaking of Welland’s Finest – that is what the Rex claims their pizza to be, therefore it was only appropriate to order exactly that. So we went for the classic 6-slice cheese and pepperoni and a pound of mild wings (since my palate doesn’t handle spice well), while my other friends dove into a 6 slice cheese, pep, green olives and hot peppers. As expected the pizza was phenomenal, without question the best in Welland (and I love Rose City Pizza). The crust is thin but crispy and just perfection. The wings on the other hand were an utter disappointment, they were saucy and cold, which is not the most appealing combination. My only issue with the Rex has always been the service. You see 2-4 ladies behind the bar yet ordering a drink or food always seems to be a struggle. On this particular evening it was not. I was pleasantly surprised. 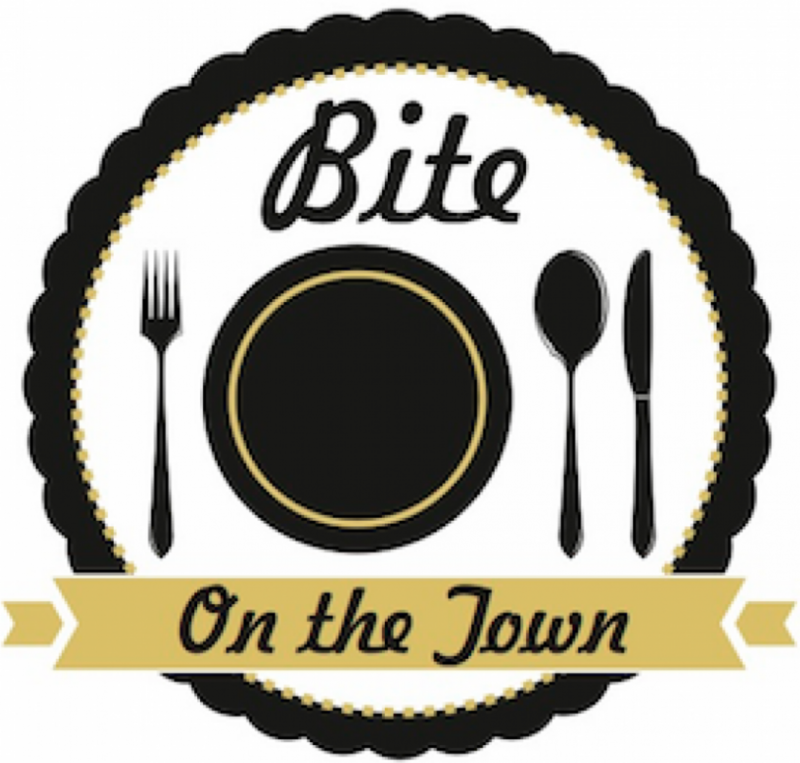 The goal of this blog is to write my honest opinions on various “hidden gem” restaurants in Niagara. I have always taken much pride in growing up in Welland despite the fact that there is practically nothing to do unless you are sixteen and genuinely looking forward to going to a local fair or the Seaway Mall cinema, as there are zero stores in that mall with relevance unless you have retired. As I’ve “matured”, I have noticed how much fun you can have in Niagara. Whether it’s visiting a neighbouring city, safely being able to walk all over town or visiting “dive” bars in order to pass the time, Niagara has been one hilarious roller coaster ride throughout my youth. Showcasing it’s perks seems like a nice thing to do. I chose to focus on Niagara because through my various excursions around the region I have found some very interesting yet noteworthy establishments that should be put on display. If you have any questions or recommendations please feel free to contact me at danaconn90@gmail.com. Life can be messy. Things don't always go as planned. It's time to embrace the chaos.